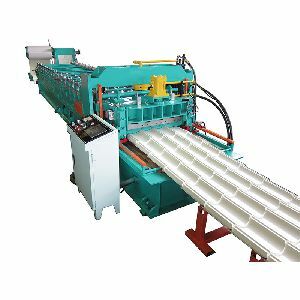 Yunsing YS-750 model roofing tile roll forming machine is designed for manufacturing stepped-tile roofing. It can automatically continually manufacture high quality products with PLC. Also, this machine is easy operation. More specification, please visit Yunsing and get details about roofing tile roll forming machines.